The design of Voices of Freedom as an art piece encompasses the whole site. The Request for Proposal for the site called for an artist to ‘memorialize and celebrate the Town’s Black history’ by engaging and educating visitors. The broader concepts of struggle, journey, dialogue and community were also identified as necessary components of the piece. It was clear that the story of the Town’s Black history should offer visitors both written and allegorical information to create a richer experience. 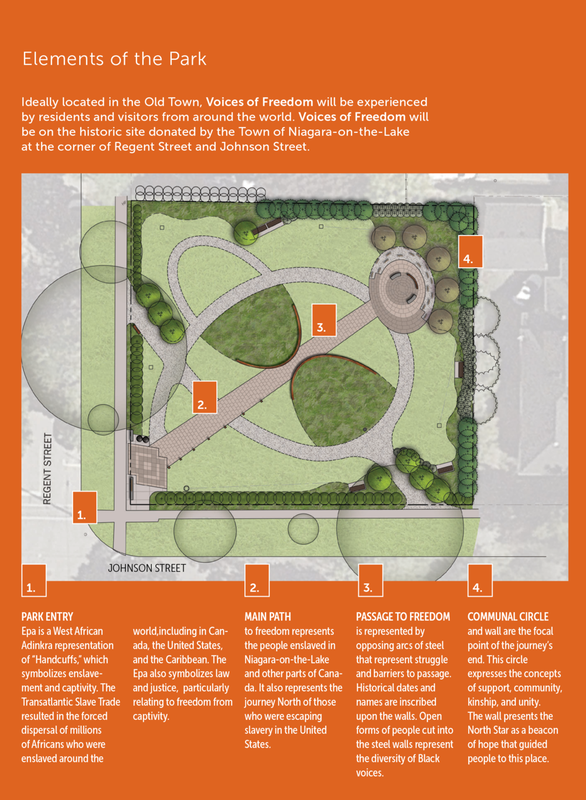 The design of Voices of Freedom encompasses the whole site. The site supports a strong experiential narrative by combining sculptural art with park design. By moving away from a traditional static memorial approach we increased the possibilities for successful engagement and education about our Black history. 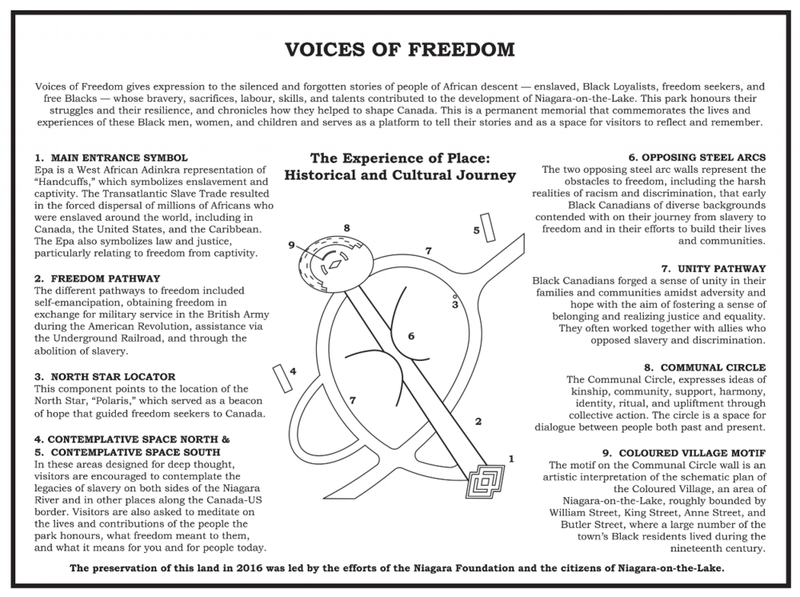 Voices of Freedom will bring visitors on a journey of awareness and appreciation for the lives and experiences of Black men, women and children in slavery and ultimately freedom. As visitors move through the space, they interact with the various components visually and physically. The information provided in the historical narrative is supported by the artistic expression of the steel forms. The art is comprised of four linked components.